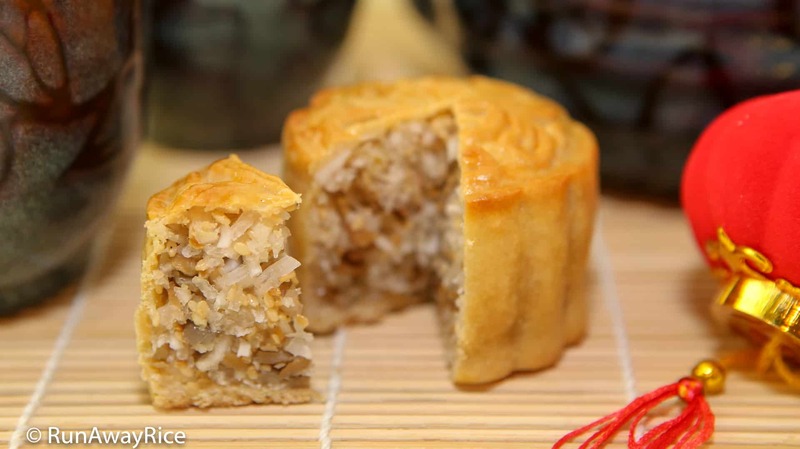 A typical mooncake has two parts: a casing or shell and a filling center. Casing and filling pairings are abundant, creating endless mooncake combinations. 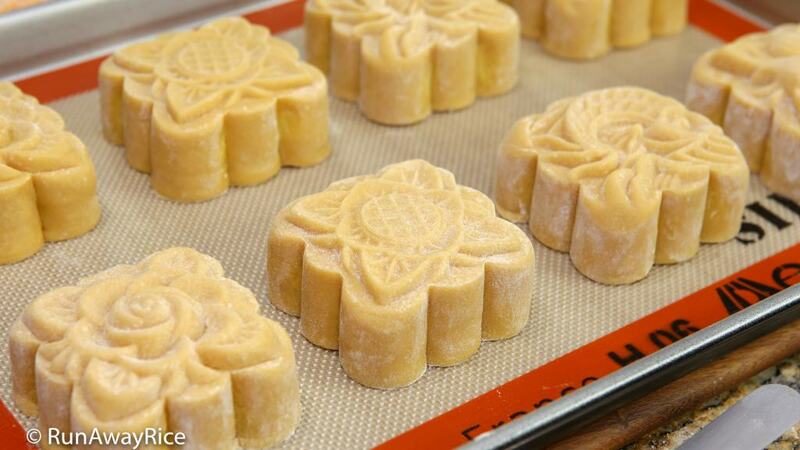 The mooncakes are made using decorative molds which imprint beautiful designs onto the cakes. 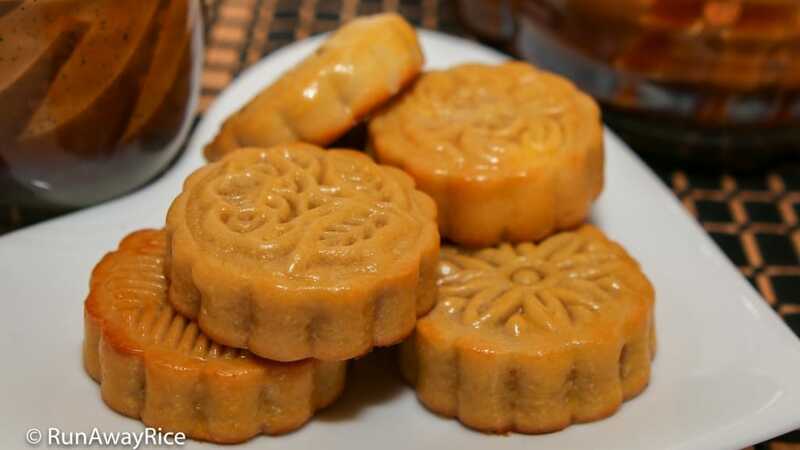 Typically small and dense, a mooncake is about 2-4 inches (5-10 cm) across, up to 2 inches (5 cm) high and up to 8.8 ounces (250 grams) in weight per cake. The artfully designed cakes are symbolic of lunar appreciation and moon watching celebrated during the Mid-Autumn Festival. These special-occasion cakes are often given as gifts to family, friends and business associates during this festive holiday. 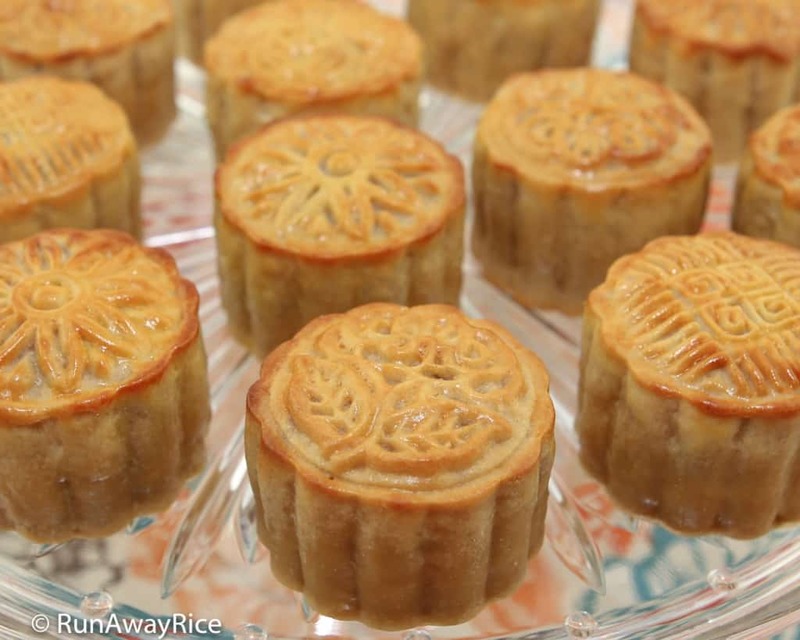 Traditional mooncakes are baked and have a thin pastry shell with sweet or savory fillings. These baked mooncakes (bánh nướng or bánh nướng trung thu) are made from a simple dough containing wheat flour, syrup, eggs and oil. 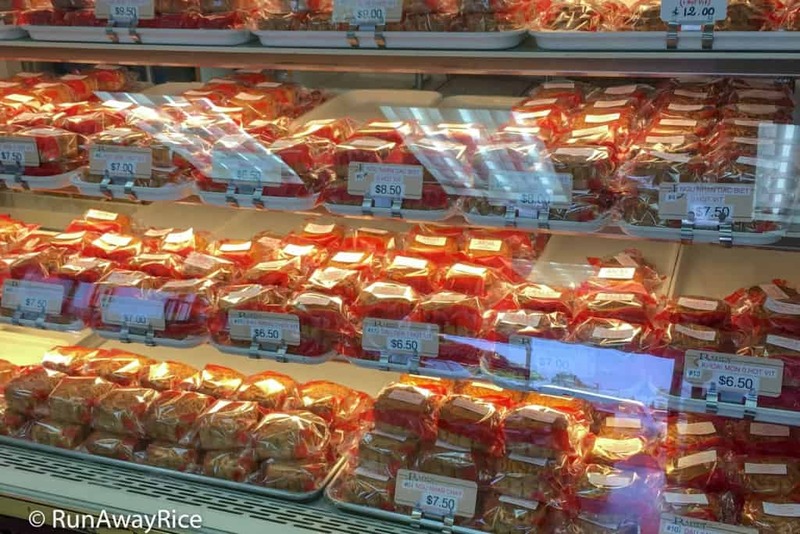 The filling options are endless, ranging from sweet bean (mung, red or black), lotus seed, fruit and nuts to savory fillings like seasoned chicken or pork, salted egg yolks, and Chinese sausage. The cakes are served at room temperature and commonly enjoyed with hot tea. During the final baking stages, the mooncakes are brushed with an egg yolk wash, giving them a golden and glossy finish. 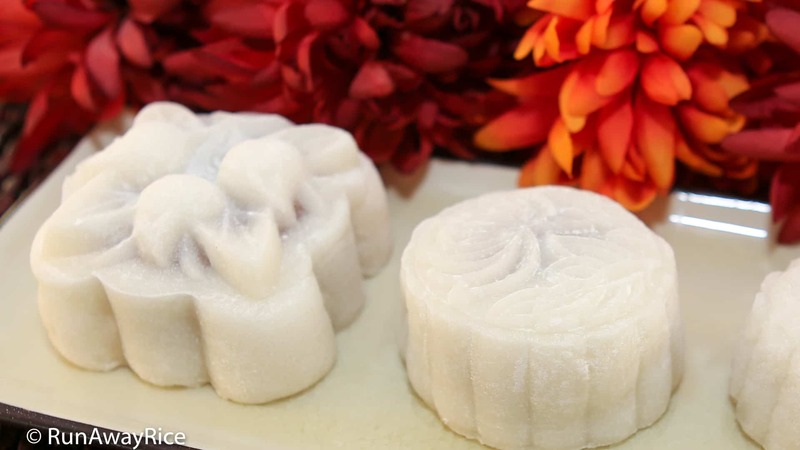 Snowskin mooncakes (bánh dẻo) are unbaked cakes with soft, doughy casing and sweet fillings. 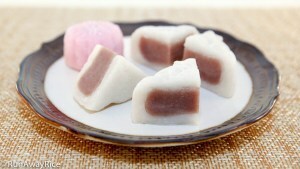 Taro, mung bean and durian paste are popular fillings. The pillowy snowskin is made using roasted glutinous rice flour and requires no cooking or heat. The roasted glutinous rice flour is combined with a simple syrup to form a soft dough and then shaped into cakes using decorative molds. 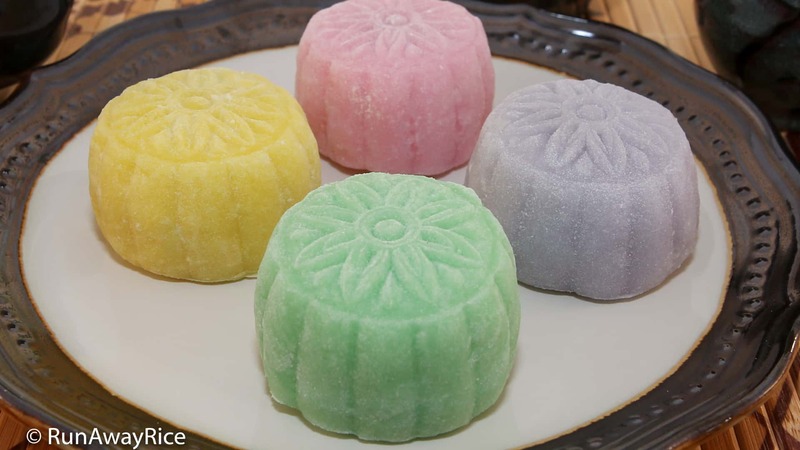 Food coloring and flavorings, like pomelo essence, chocolate and matcha powders, are often added to enhance the white dough.The mooncakes are also served at room temperature and enjoyed with hot tea. 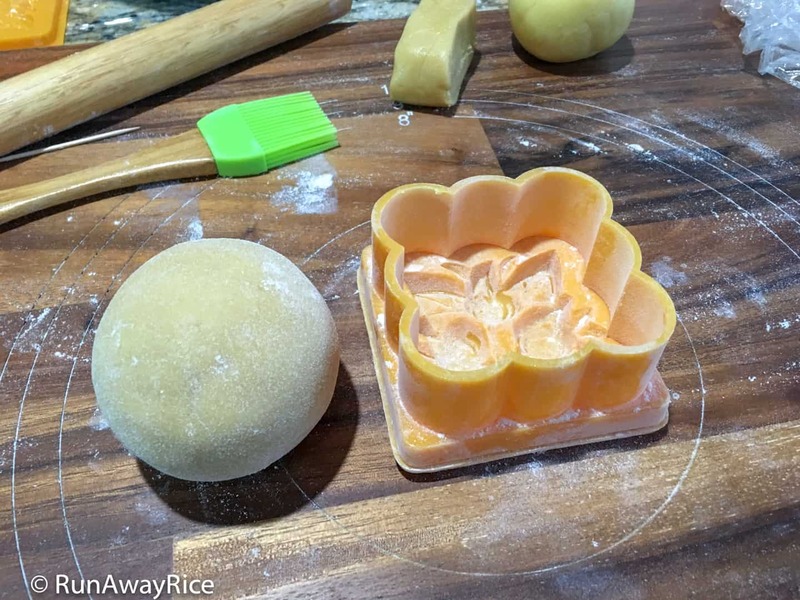 Agar or jelly mooncakes (bánh trung thu thạch rau câu) are twists on the traditional baked and snowskin mooncakes and have gained popularity in recent years. 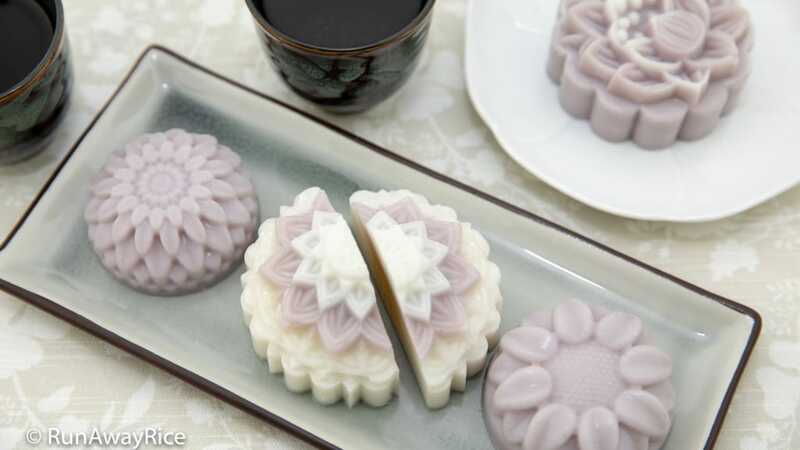 These mooncakes are made by layering jelly mixtures into decorative molds. 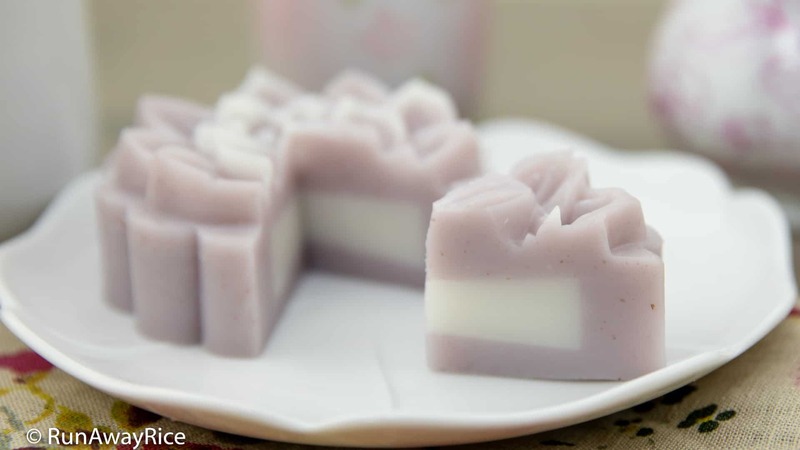 Agar agar, a vegetarian jelly, is used to give the mooncakes structure and silky texture. After the jelly mixture sets and turns solid, the mooncakes are refrigerated. Served chilled, the agar mooncakes are refreshing sweet treats. If you’ve enjoyed other types of mooncakes, please share with me in the comments below. A month or two before the Mid-Autumn Festival, mooncakes start appearing in the Asian markets and bakeries. These cakes are typically made overseas. The larger chain markets, like 99 Ranch, offer the different types of mooncakes in many flavors and combinations. 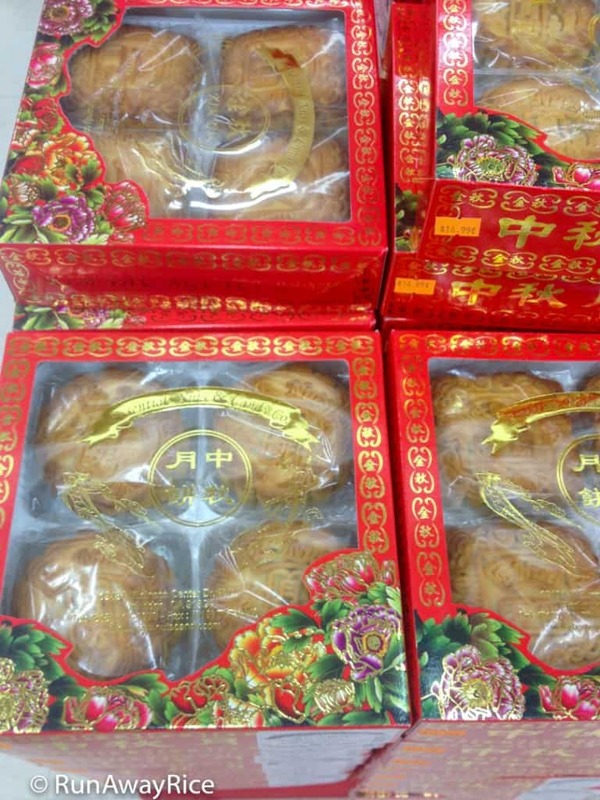 A package of 4 baked mooncakes costs approximately $15-$25. 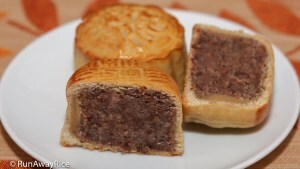 Bakeries in Little Saigon – Westminster, CA start selling mooncakes at early as 2 months before the Mid-Autumn Festival. 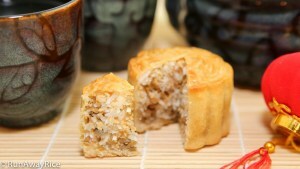 They offer a nice selection of locally-made mooncakes in many popular combinations. 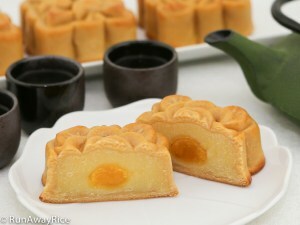 The mooncakes sell for about $6-$12 per cake depending on the ingredients and size. The baked mooncakes are definitely the most popular and widely available. 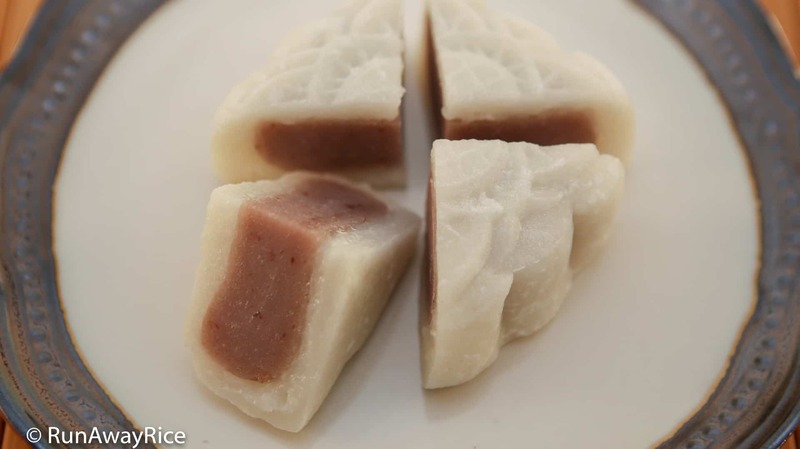 The snowskin and agar mooncakes may be limited and require special order. Here are delicious mooncake recipes I’ve shared over the years. I hope they entice and inspire you to make mooncakes at home. They are definitely worth the effort and you’ll be so proud of yourself once you’re done. Enjoy! For store-bought mooncakes, follow the storage guidelines on the package. 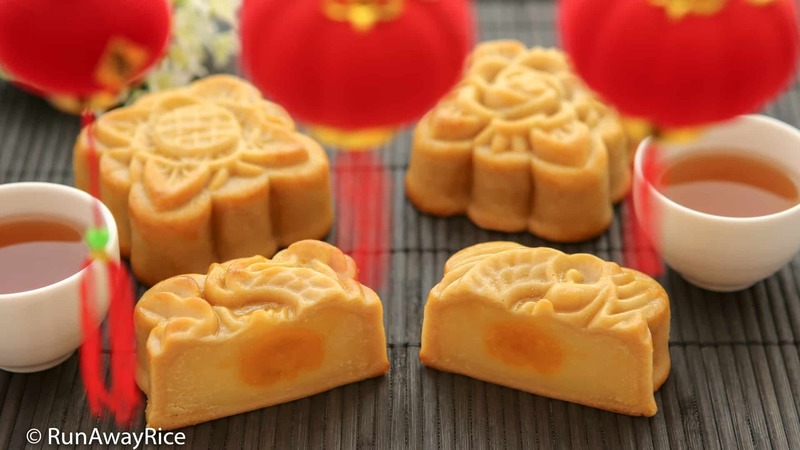 Because of the high fat/sugar content and preservatives, store-bought mooncakes last for quite some time. 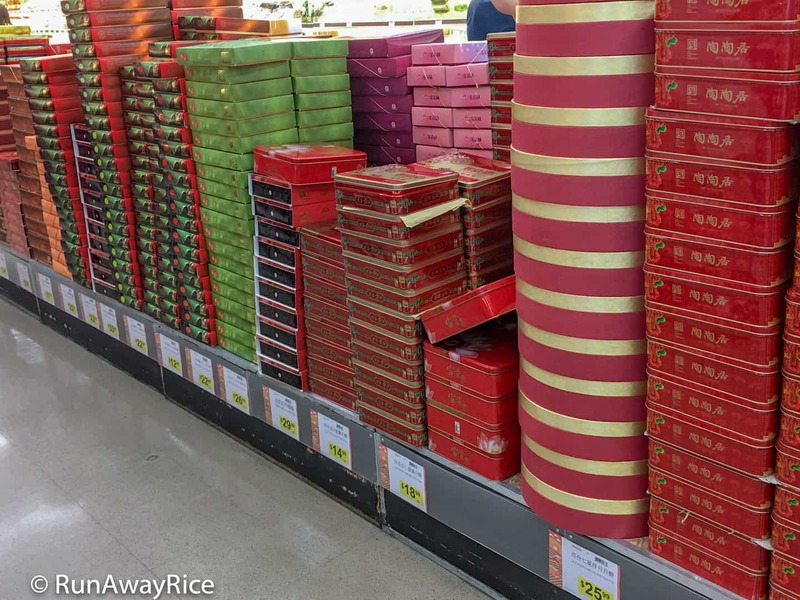 The stores sell mooncakes about 1-3 months before the Mid-Autumn Festival. I am guessing the mooncakes were made 2-3 months prior, maybe even longer. These mooncakes should probably be consumed fairly quickly after purchase. Homemade mooncakes doesn’t last nearly as long, for obviously good reasons. Homemade baked and snowskin mooncakes can be stored at room temperature for 2-3 days. After this time, the cakes need to be refrigerated. Baked mooncakes can be refrigerated for up to 10 days and frozen for up to 3 months. To enjoy again, warm in a toaster oven or microwave using Low power. Snowskin mooncakes are best enjoyed within the week. The snowskin can become hard once refrigerated. 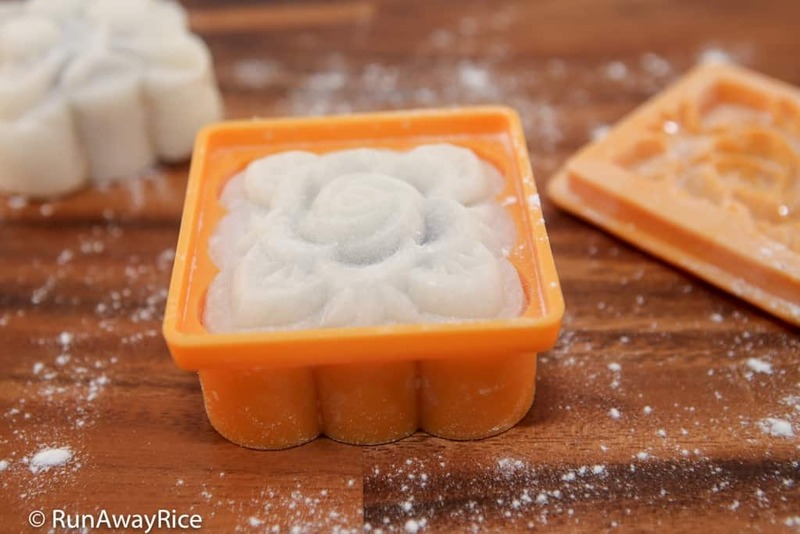 Freeze the snowskin mooncakes for up to 3 months. To enjoy again, warm in the microwave using Low power. 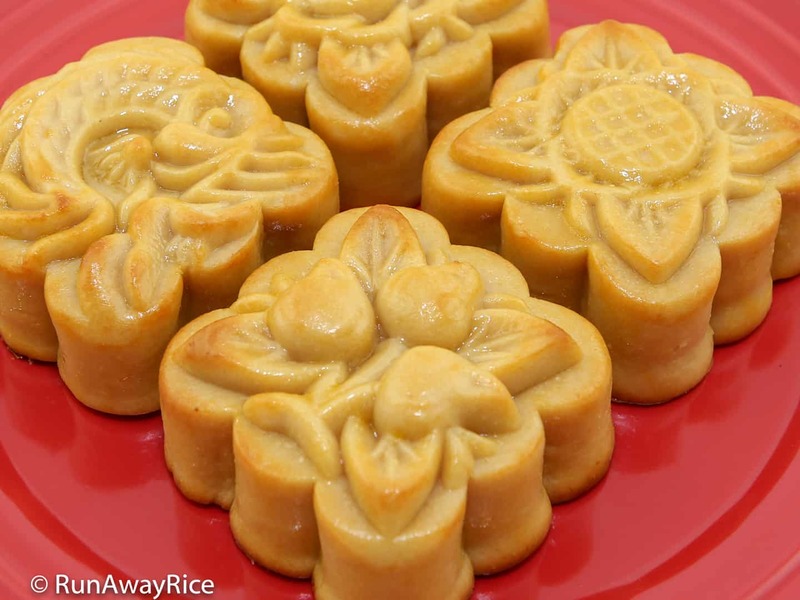 Agar mooncakes can be refrigerated for up to 1 week. Being jelly, it’s best to enjoy these mooncakes sooner rather than later. The cakes collect moisture as time passes. 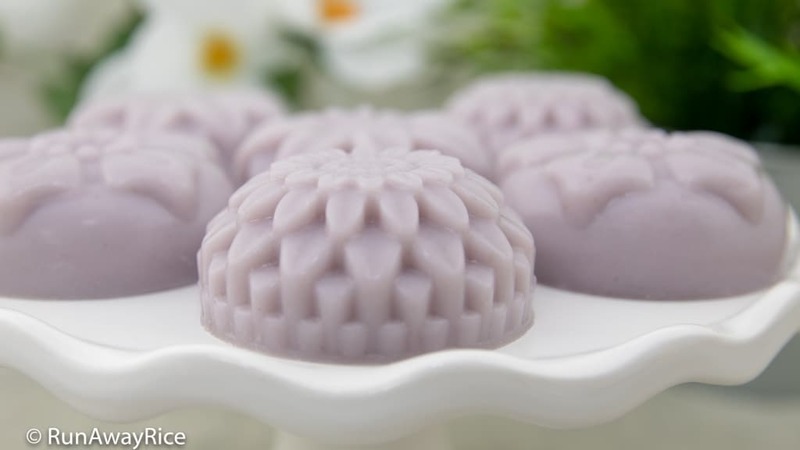 Agar mooncakes can be frozen for up to 3 months. 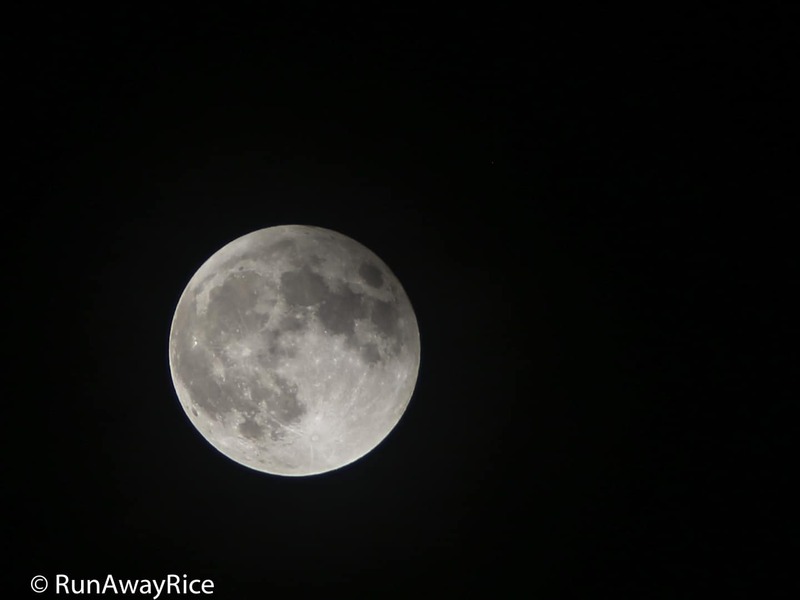 A full moon marks the beginning of the Mid-Autumn Festival. The roundness of the full moon and the cakes (round is the traditional shape) represent reunion, harmony and completeness. So for this upcoming Mid-Autumn Festival, gather with your loved ones, enjoy some yummy mooncakes with hot tea and count your blessings while gazing at the glorious full moon. Happy Mid-Autumn Festival! Hi! You are my favorite food blogger. I really enjoy your blog and YouTube videos. I always look forward to your new materials. Your instructions are so clear, easy to follow and practical. They turn out tasting great too. I like that your pics are more natural and not so fake with lots of filter and photoshop. Makes you see what real food will turn out like. Thanks so much on the detailed information on moon cakes. I learned a lot from you. Please keep the great work coming. I am a huge fan or your work.